Fiat Chrysler has just announced that the first affordable Jeep for India, the Compass, will be built at the Fiat Ranjangaon factory, off Pune. Production will commence from the middle of 2017, with a launch to follow soon after. Prices of the Compass are likely to start from under 20 lakh rupees. If Jeep decides to get aggressive, some variants of the Mahindra XUV500 may also be targeted by the all-new Compass. The Compass built and sold in India will be right hand driven. Both turbo petrol and turbo diesel engines will be offered for the Indian market, with manual and automatic gearbox option. The 2017 Compass is based on the US Small Wide 4X4 architecture that it shared with the smaller, Renegade SUV. Like most SUVs it’ll compete with, the Compass features a monocoque shell. A fully independent suspension system all around is likely to make the vehicle good, off the road. A four wheel drive transfer case will also be offered on the Compass. Top-end variants are expected to get a panoramic sun roof, in keeping with Jeep’s tradition of building ‘open-to-the-air’ vehicles. The Jeep built at Ranjangaon will be exported to right hand drive countries around the world. In other words, India will be a production hub for this volume pulling SUV. 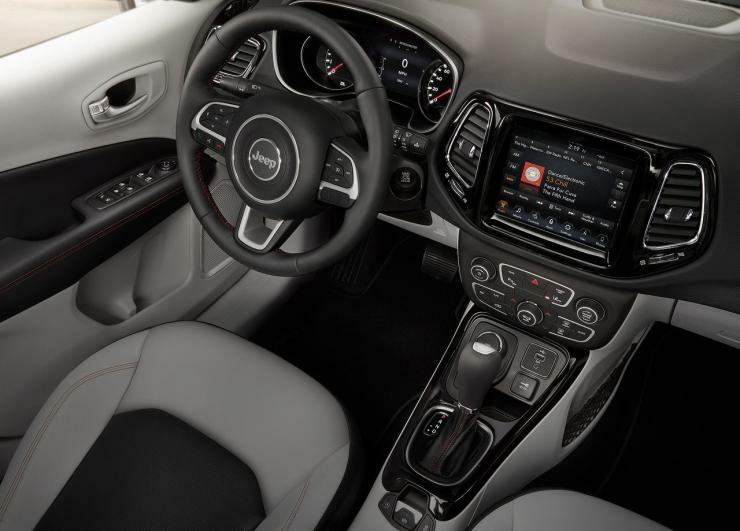 In terms of features, the Compass will get Fiat-Chrysler’s latest U-Connect infotainment interface with Android Auto and Apple CarPlay connectivity, airbags, ABS, ESP, Hill Hold, reverse parking sensors etc. Expect plenty of luxury features to also be thrown in. From leather seats to automatic headlamps, the American SUV is likely to be loaded to the gills as Indian buyers are now used to featured packed options in the 15-20 lakh rupee SUV segments. Jeep began its Indian innings earlier this year, with the launch of 3 CBU vehicles – the Wrangler, the Grand Cherokee and the Grand Cherokee SRT. All three vehicles operate in the luxury segments, and are meant to be brand builders. Jeep has already set up a few dealerships in the bigger cities, and will expand to more locations before the Compass arrives. « Note ban impact: Nobody wants to buy cars!